Ulladulla is a picturesque harbour town on the coast of New South Wales. Just 227km south of Sydney, it’s a popular holiday centre and fishing port, as well as a regular pit stop on the long drive between Sydney and Melbourne. 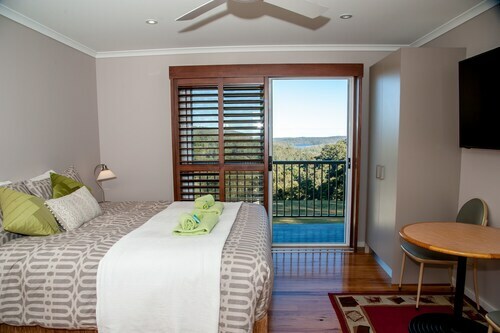 Book your Ulladulla accommodation with us now! The Ulladulla boat harbour, one of the prettiest spots in the Shoalhaven region, typifies the town’s native origins. Traditionally occupied by the Murramarang Aboriginal people, the name Ulladulla is believed to come from an Aboriginal word meaning ‘safe harbour’. From an 1828 sketch featuring Aboriginals fishing in the harbour, to today, the harbour has been central to the town’s existence. Around the mid-1800s and in the lead up to World War II, many ships were built on the foreshores of the harbour and sea trade made it a hub of activity. Nowadays, the largest commercial fishing fleet on the South Coast moors up in its sparkling blue waters. A few great dining options grace the harbour’s edge, maximising on the stunning views like any smart local business would do, including fish and chips fresh from the Fishermen's Co-op on the wharf. Unlike some other harbour cities, it hasn’t been crammed with seaside hotspots, and you’ll still find good-quality cafes and eateries in other parts of town. For something fancier, venture just out of Ulladulla to Cupitt Winery, which boasts a beautiful hillside country setting and a seasonal French restaurant that serves matching wines from the vineyard itself. Ulladulla is a coastal town, with fishing, swimming and diving popular local activities to indulge in. Offering both great surf waters and sheltered swimming spots, everyone is catered to. There’s also a sea pool, which can be accessed from the boardwalk at the harbour. Deep sea charters and whale watching tours provide another great way to experience the beautiful waters of the region without getting too soggy. If you forget your swimmers but remember your runners, there are many local natural attractions to explore. Ulladulla is a great base for venturing out to Morton National Park, Lake Conjola to the north and Lake Burrill to the South. The Coomee Nulunga Cultural Trail and the One Track for All are beautiful tracks that explore Aboriginal heritage along the route. Also don’t miss the spectacular views at the end of the 2km track to Warden Head Lighthouse. The lighthouse was erected in the harbour in 1873 then relocated to Warden’s Head in 1889 – and it’s still fully-functional today! If you’re driving to Ulladulla, you can’t miss it! Just jump on the Princes Highway from Melbourne or Sydney, which passes straight through town. Buses also run regular routes to Ulladulla. Once you’re here, you can walk around town, but it’s best to explore the region by car. Car rentals are available locally. So wot’s stopping you? 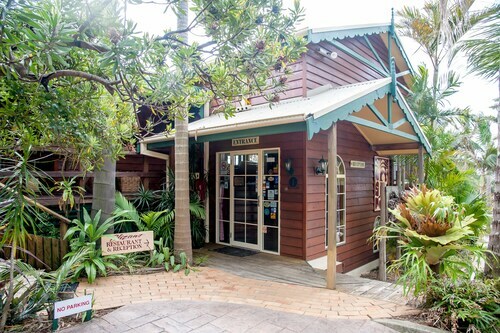 Get in and book your Ulladulla hotel today so you can start navigating this lovely sea town. How Much is a Hotel Room in Ulladulla? 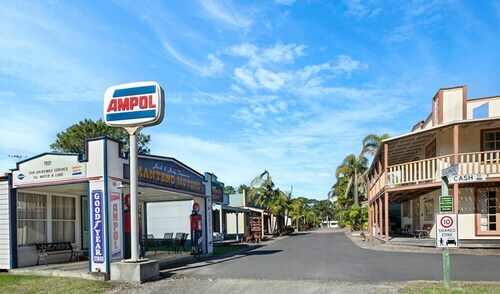 Hotels in Ulladulla start at AU$68 per night. Prices and availability subject to change. Additional terms may apply. Very good location. Excellent and relaxing accommodation.